I’m having a bit of a Depeche Mode moment. It’s great. It’s like walking into a new musical universe! Why? Because it has become quite apparent that there is a Mode shaped hole in my musical back-catalogue; and I can’t figure out why. Were they banned from Irish radio? Were they not played by mainstream Irish radio? (bear in mind that we had about 3 Pirates and 1 Legit Music Station formerly known as Radio 2, which became 2FM in 1988. Were Irish kids not buying Mode to the same extent as their German, Italian, American counterparts? My first recollection of Mode was seeing the video for their single “See You” on TOTP. I thought the song was good (even if I was in my “enchanted with ‘The Police’ phase” at the time. The singer looked a bit of a tool with the bow-tie; the rest of the band were faceless to me. Finally, I remember the gimmick with the passport photo machine. End of. And this is how I remember them. A group of badly dressed skinny fellas with crappy hair dos in really sad videos. When I look at their discography, “Just can’t get enough” was released in ’81, a year before “See you” yet it wasn’t my first memory of their music. I must have been down in Cork that week, they only had RTE1 at the time! Missed that TOTP then! 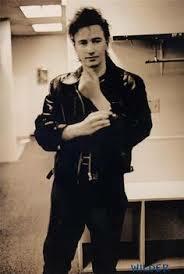 All is well song-history-wise, that is until I get to the releases from “Black Celebration”. Just prior to that, I distinctly, clearly remember “Shake the Disease” (which wasn’t on any album) and to this day, it’s one of my favourite Mode songs. And then this happened, but I missed the party. “Black Celebration” – hello! “Music for the Masses” – who? when?. Where the hell was I when half of America was screaming their lungs out????????? I am a music junkie – how in the name of all that is holy, did these two albums and all this mania pass me by without a whiff of a synth or sight of a teenage-angsty tear? 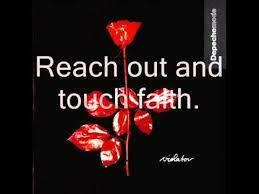 There is a Mode musical chasm from mid-late 1984 until the “Violator” track, “Personal Jesus” in 1989. Now I was a TOTP fanatic when BC was released……AND I was a student! How many nights would a music freak with no money to finance a social life miss of one of the few music programmes on TV at the time (the only other one of note to me was the Old Grey Whistle Test and even that was sometimes too “mature” for me, though I loved Annie Nightingale)?? TOTP was my mecca. And nothing on radio, not even pirate.?? I mean come on, even if you don’t like a song, you’ll still have heard it, of it or about it? Nothing, nothing! Not a THING. “A Question of Time” – never saw the video, never heard the song. Was Ireland sent into musical Coventry in 1986? Then comes 1987/88 “MFTM” – I was in Ireland – ALL the time! I know I was; I (still) didn’t have any money! There is no way I could have missed this song………it’s brilliant? 2FM – what was happening here? Was I in love? Was the radio broken? It’s almost like I was shipped into a parallel universe for about 6 years. The first time Mode resurface in my musical life was as I said, with the release of “Personal Jesus” – I remember being a bit weirded out when I saw the video. This was not the same band with the bow-tied munchkin whose hair had a row with a vengeful hairdresser from “See You”? Surely not. They must have got it wrong. Can’t be Depeche Mode. And who’s that other bloke – never noticed him before? Not bad at all, even if he is in black leather! (Not a favourite of mine, I was more of the hippy dippy dangly skirts type back then, all bells and mirrors – wonder I didn’t go up in flames trying to light fags off the bars of the electric heaters with my skirts flapping around my legs! “Enjoy the Silence” – I most certainly had! Whilst half the world was jumping to Mode, I was dancing to the B52s and humming Adamski’s Killer. I remember “Enjoy the Silence” on release – a great track – a super dance song. I didn’t get the video, but who cared. Some dude walking around in a cloak with a deckchair – oh year – it’s the munchkin again, sans bow tie and looking a bit more rough n tough! And then it happened again……….they disappeared. 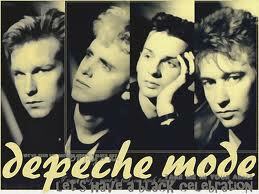 And the next time I heard the words “Depeche Mode” were in the same breath as Dave Gahan-Los Angeles-Arrested-Drugs. Two more releases from “Violator” had bypassed me (even a two week holiday couldn’t account for that!). And another whole album “Songs of Faith and Devotion”! And the big row over Alan leaving the band. Nothing, not a thing from EtS until Dave was arrested in 1996. Now that’s a whole 6 years. Two voids of 6 years in a bands 16 year history. It’s like the Bermuda Triangle. There is no explanation. I am stumped and stupefied. I did not know about BC, MFTM or SOFD until two years ago. One of the world’s biggest bands (and I didn’t know that either!!) and I had missed half their most important and lauded releases? WHAT???? Now that’s a (musical) mystery.